We need these on our walls ASAP. We come across some amazing fan-made artwork. Recently we stumbled upon these pictures by @punksirens on instagram. 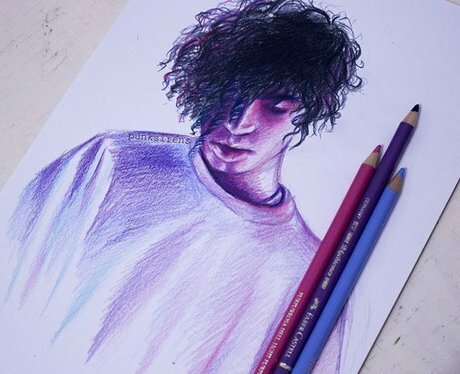 She's 17 and has posted lots of drawings of our favourite artists, including Matty Healy from The 1975 and Josh Dun from TØP. 3. She's a pretty big 5SOS fan too. Because Scott Pilgrim vs The World is an amazing film and more people need to realise this. BECAUSE WE ARE SO EXCITED FOR THIS ALBUM!! Thanks Eliise for sharing your amazing talents with the world! And let us know if you spot any other fan art accounts, guys!